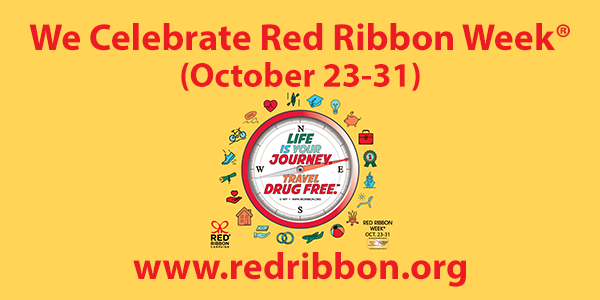 October 23 marks the beginning of red ribbon week at Arroyo high school. This is a time where all students and staff are to focus on the healthy choices and habits they could make rather than the unhealthy choice of using tobacco, drugs, and alcohol. We need your help ensuring that Dons are drug free! These 3 short videos were sent out by the Alameda County Office of Education on behalf of TUPE, Tobacco Use Prevention Education. We are hoping some of you may find the time to show them and open up a conversation about addiction. The 'Denoble' video has a video game theme that students really seemed to respond to in years prior. The 'Understanding Addiction' video explains why YOUTH are particularly vulnerable to becoming addicts. Hey Dons! You want to win an iPad? Enter the Red Ribbon Photo contest. 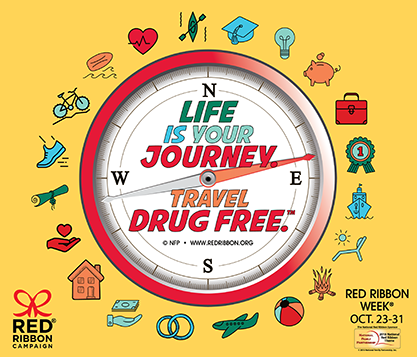 The National Red Ribbon Photo Contest is intended to involve families, neighborhoods, schools and communities in the Red Ribbon Week celebration. By working together to deliver a unified message, we can help children grow up safe, healthy, and drug free. Families can enter the contest by uploading a photo to www.redribbon.org/contest of their home front door, fence, or mailbox decorated with a double-looped Red Ribbon and this years National Red Ribbon Week theme: Life is Your Journey. Travel Drug Free. See our school website for more details and the link to enter and FAQ's. Not only will YOU win a brand new iPad but Arroyo High gets $1000 as well! Good luck!